Rotati Is Hiring! 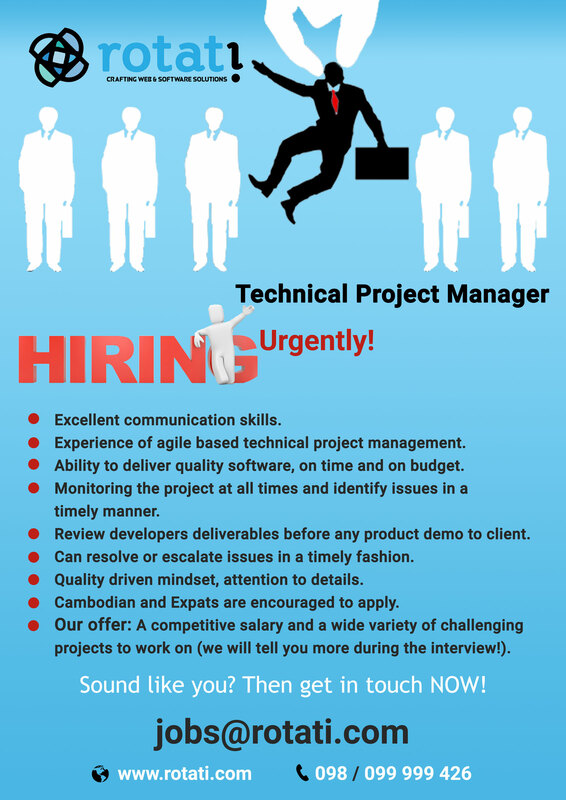 - Technical Project Manager! Excellence of agile based technical project management. Ability to deliver quality software, on time and on budget. Monitoring the project at all the times and identify issues in timely manner. Review developers deliverables before any product demo to client. Can resolve or escalate issues in a timely fashion. Quality driven mindset, attention to details. Cambodian and Expats are encouraged to apply. Our offer: A competitive salary and a wide variety of challenging project to work on ( We will tell you more during the interview! ).